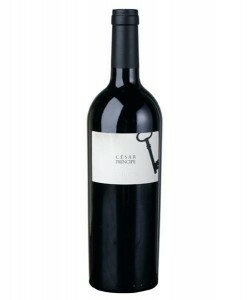 A dense, purple glassful of 2009 César Príncipe exudes aromas of spice, ripe fruit, minerals, and before long a field of violets. Even now, when there is cellar potential for another 15 years, ripeness mediates the significant concentration and structure so that a sip is succulent. This is the new Cigales. At 2,500 feet, in the harsh, dry landscape just north of the Pisuerga River and the old city of Valladolid, Tempranillo grapes grow thick-skinned. Previously known for its sturdy dark-pink wines, of local interest only, several producers are taking vines over a half-century old and making age worthy wine — Ignacio Príncipe, of Bodegas César Príncipe, chief among them. “Picasso had his brush. Heifetz had his bow. Ignacio Príncipe has his pruning shears. A virtuoso in the vineyard, he wields his sharpened blades like a sculptor. Blink and you’ll miss it. Snap. Crackle. The hands blur. In less than 45 seconds, a voluptuous vine is pruned to its concentrated essence, three fundamental branches remaining to form a ‘seat’ with enough strength and structure to hold the weight of a man should he need a place to rest. Now it is nature’s turn. The less promising buds have been sacrificed for those more likely to produce glory in the glass. How does the winemaker know which is which? That’s why it’s called the art of winemaking.